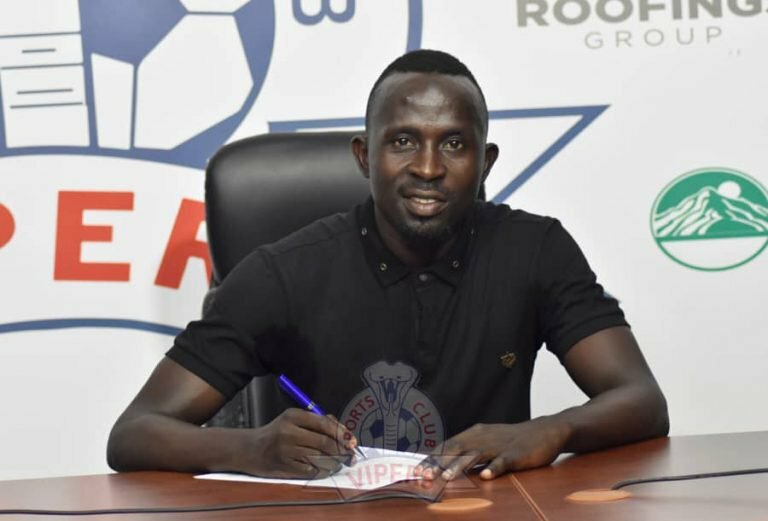 KITENDE – StarTimes Uganda Premier League defending champions, Vipers SC have completed the signing of Hamis ‘Diego’ Kiiza. Diego who is understood to be in his final months at Ethiopian side, Fasil Kenema, put pen to paper on a six months deal that will see him at Kitende until the close of the current season. The striker still has a running contract with Fasil and he will see out the rest of it so as to activate a permanent deal at Vipers. Diego becomes the club’s second signing in the January transfer window after Kenyan defender-Innocent Wafula who joined from Gor Mahia. With Vipers struggling to find the back of the net lately, scoring only once in their last 4 competitive matches, Diego who was 2010/11 UPL top scorer is expected to help cub the issue alongside another proven goal scorer-Dan Muzei Sserunkuma. The 29 year old striker, arrives at Kitende with an impressive goal scoring record and a vast amount of top flight league experience, his footballing career began at Nalubaale FC in 2007 before URA snatched him in 2009. The moments of brilliance at the tax collectors where he won the League in 2011, caught the eye of Tanzania’s Yanga who eventually signed him later that year. In 2015, Kiiza left Yanga to join bitter rivals Simba where he played for one year before moving to Free State Stars of South Africa. He re-joined URA in 2017 enroute to El Hilal Obeid of Sudan the same year. A series of issues disrupted his short lived stay at the Sudanese club hence he moved to Fasil Kenema FC where he has been at the time of recruitment by the three time league champions.